For the most part, I actually prefer to find my design inspiration online, simply because there’s so much of it about. However, there are some times when you need not only high quality images to really see the detail in something, but also, a range of pieces that a professional has chosen, rather than a small collection that a blogger may have chosen to write about – which is what I’m about to do! My book collection is very small, but those that I do have are not only informative, but also a great resource for various projects. I’d recommend these books to anyone interested in design. All links will take you to Amazon, simply because Amazon have all of the books on this list. Area is a great book for when you’re looking for some inspiration from all over the world. Area doesn’t just focus on one country or culture, but an incredible amount of them, sourcing images from Tehran and Berlin to Amsterdam and London and back. Curators of the book include the likes of Stefen Sagmeister. What’s really nice about this book is that because it’s physically big (measuring in at 29x25cm), you have a great view of some of the most detailed work. It’s hard to call this book a ‘coffee table’ book simply because it’s so big (445 pages) but there is a lack of detailed information. The book chooses instead to dedicate its space to the visuals. 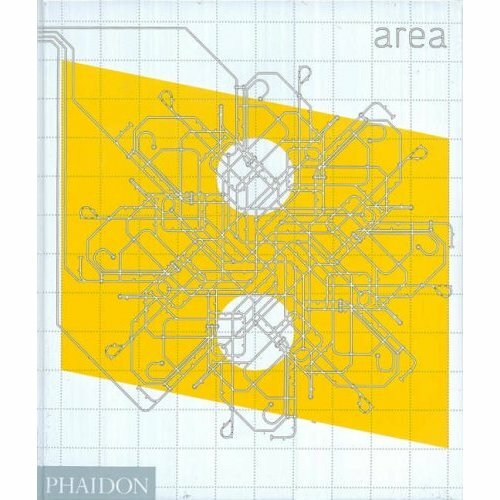 So, if your aim is to find out the reasoning behind something, then this book isn’t for you, but if it’s pure inspiration and enjoyment of graphic design, then by all means, consider Area as your next design book purchase. Considering this is a list of books that I own and wish to write about, this one is one that I regret purchasing. I don’t find it particularly useful because it’s written with the graphically and technically minded in mind. I suppose you could argue that since I am a graphic designer, I should enjoy and understand this book, but it’s just not enjoyable to read. The book is made even worse by the strange layout of it, shifting from serif text to sans serif throughout. In some cases, some of the informative text looks more like a piece of artwork. This is fine, but for a book that’s meant to be informative, you do tend to skip over some of the visuals and therefore miss out on the information you’re search for. So, while I do own this book, my advice is to avoid it. Thank goodness the brain is designed to be uncreative. With eleven items of clothing to put on there would be 39,916,800 ways of getting dressed. The brain is designed to make patterns, to use them and to stick to them. With an opening like that, it’s easy to tell that this book is all about being creative, but creative in a way in which makes people smile. Creative in a way in which people ‘get’ it. Where the previous book fails in explaining this smile in the mind, this book succeeds. Not only does it offer a good in-depth overview of the methods and executions it discusses, it also gives pages and pages of great examples. 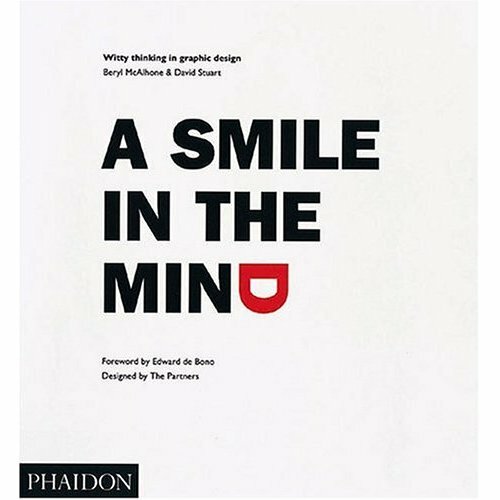 As many other designers would agree, A Smile in the Mind is a book which should be on any designer’s shelf. 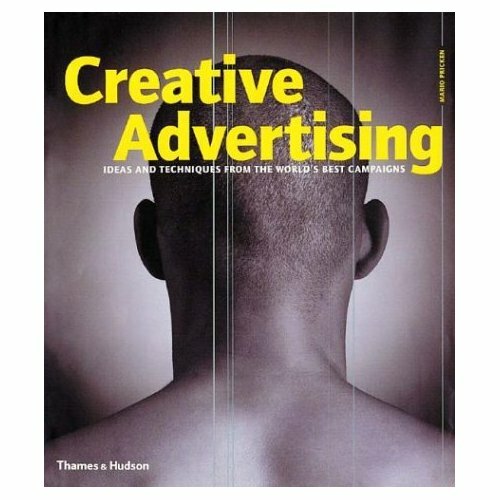 Where the previous book deals with how other people have created fantastic and creative pieces of work, Creative Advertising shows how you can do it yourself, giving numerous small tasks you can set yourself. This book doesn’t deal with the technical aspects of things like colour and composition, but rather the methods in which you get to that stage, asking questions such as “What if the product could defy gravity?”, “What if the product could make animals talk?” and other such questions to spark an idea. This is definitely a book which needs more than just a passing glance in order to get the most from it. However, if you do decide to spend time not only reading this book, but following its tasks, it’ll certainly be worth the price you paid for it. This isn’t actually a book you’ll find on Amazon, but rather one which strangely came free with my subscription to Creative Review. It’s not even really a book. It’s more a Yellow Pages for creatives. An entire book dedicated to finding top design agencies, photography studios and other creative outlets. What is really interesting about this book is the way in which these companies choose to advertise, showing some of their best work, some of which is stunning. The Creative Handbook is published yearly and so each handbook is different, but if you happen to come across one, it’s worth keeping a hold of, especially if like me you’re interesting in applying to a few agencies. Out of all of the books I own, this is definitely my favourite. This book has an incredible amount of creative bindings, finishes, packagings and other truly impressive ways of presenting an idea. Although there’s no detailed information on any of the executions, the photos are so perfectly shot that it’s hard not to instantly understand what’s going on. The book is separated into sections including Printing, Manipulated Surfaces and Unique Materials. Each section has a wide range of agency work, with accreditation at the back. If ever you’re in the need of an original way of presenting something, this is absolutely the book for you. I can’t recommend it enough. 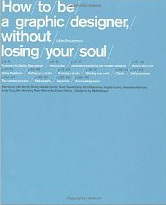 This is another book that should be on the shelves of every graphic designer. The advice given is advice which you would never get from a University tutor (and some could argue that this is what University should be about – Getting real advice! ), but rather, a honest look at the industry of graphic design and what you’re up against if you choose to be a part of it. Shaugnessy does an excellent job of explaining things like how to find a job, working freelance and self promotion. 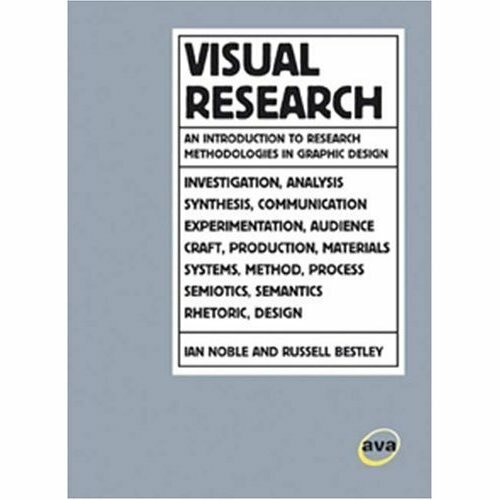 His words are not filled with technical jargon, but simply written from his perspective, along with contributions from the likes of Neville Brody scattered throughout. The book itself is beautifully presented with plenty of small footnotes and afterthoughts which are just as interesting as the main articles themselves. This is definitely a book you should own. I’ll be honest and say that I’ve still not had a chance to completely read through this book, but it’s a book that you don’t need to read completely in order to enjoy it. This book become part of my collection after Ben Terrett suggested it on his blog. 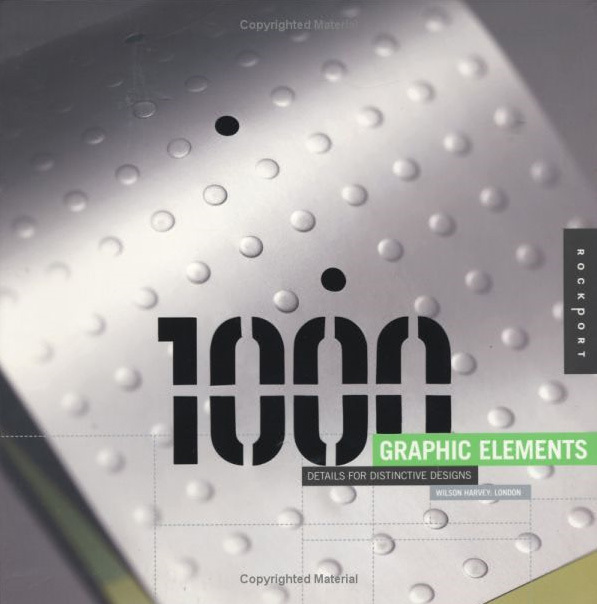 As the title suggests, this book is made up of small, easy to read essays about various elements of design. 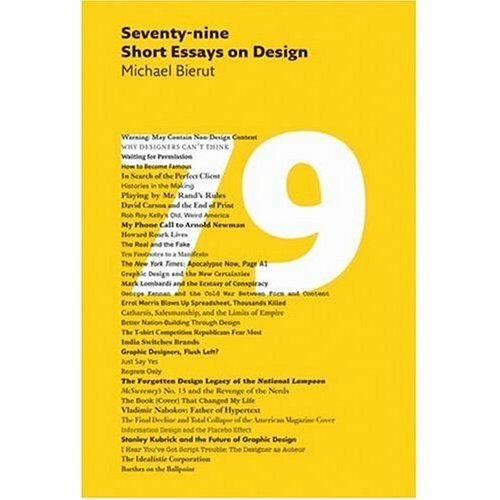 While the author of the book may be Michael Beirut, there are contributions from a huge number of designers and all of the articles are worth reading. What’s also really nice is that each individual essay is set in a different typeface, making the essay stand out more. What’s more is that information on how it’s been set out can be found at the back, along with the author of each essay. The size of book makes for easy reading when you’re not busy at the computer, with its small size and hardback cover. A really nice book and one which I still need to read thoroughly! As with the previous book, I haven’t had a chance to read all the way through this because it was only given to me recently by Thoughtful. However, after flicking through it, it’s going to be a very easy read as there’s less than a paragraph of text on most of the page. That’s not to say that the paragraph is undeserving of being read, however. In most cases, what I’ve read so far is quite interesting. The book has a fairly light-hearted feel to it, with lots of humorous lines in it. 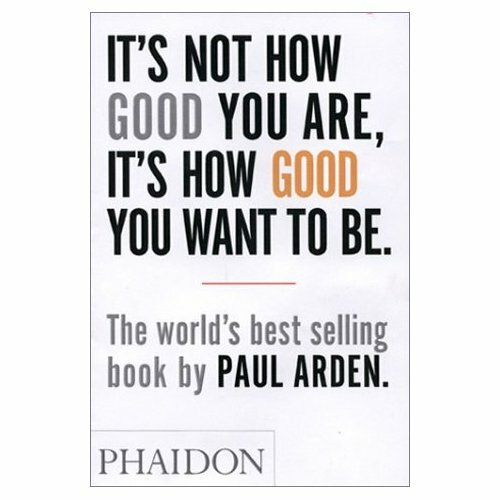 This kind of book can be read in less than a few hours, but the advice contained within it will undoubtedly stick in your head for many months to come. It’s definitely a worthwhile purchase and one which is less than £5. So, there’s my list of books that currently adorn my shelf. As I said at the beginning of this post, it’s not a huge collection, but I consider these books to be worthwhile purchases and ones which far outweigh the cost of buying them. Many people could argue that the art of a printed book is declining, but there’s something about a physical book that can never be replicated by viewing it online. Sometimes, it’s all about holding it and turning pages. It’s that tactile action that makes you enjoy the book even more and perhaps even help you remember what you read. I would recommend any of these books to anyone interested in design and in the coming years, I have no doubt that my collection will grow much larger than it is now. At that point, my next book list post may be considerably longer!